Have your friends started telling you that enough is enough? Does your mother call, saying she’s worried that you’ve taken this automotive obsession just a little too far? For those who eat, sleep and breathe customization, ARIES has the goods. We offer everything you need to keep building and keep feeding that hunger to customize. From wild Jeeps to off-road pickups and everything in between, ARIES products are designed for the extreme. For a look unlike anything else on the road today, the ARIES AdvantEDGE™ series is the perfect starting place. We offer an AdvantEDGE™ 5-1/2" bull bar, side bars and headache rack -- all with a unique, eight-sided, angular tubing and powder-coated aluminum construction. All AdvantEDGE™ accessories are available in two finish options, and the AdvantEDGE™ bull bar is also available with integrated LED lights. And speaking of lights, ARIES offers a full line of LED work lights and light bars to illuminate your latest build. We carrying everything from 2” square work lights up to 50” double-row LED light bars, giving you plenty of options to light up the trail, the street or just your own driveway. 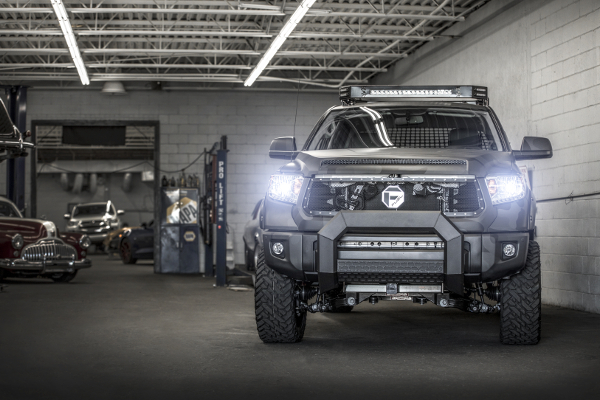 The ARIES Switchback® headache rack is a must-have for any extreme truck build. This all-aluminum, powder-coated headache rack features an aggressive look, LED light mounts all along the top edge and a removable center section for rear window access. It also installs quickly and easily, featuring ARIES' patent-pending stake pocket clamping system. 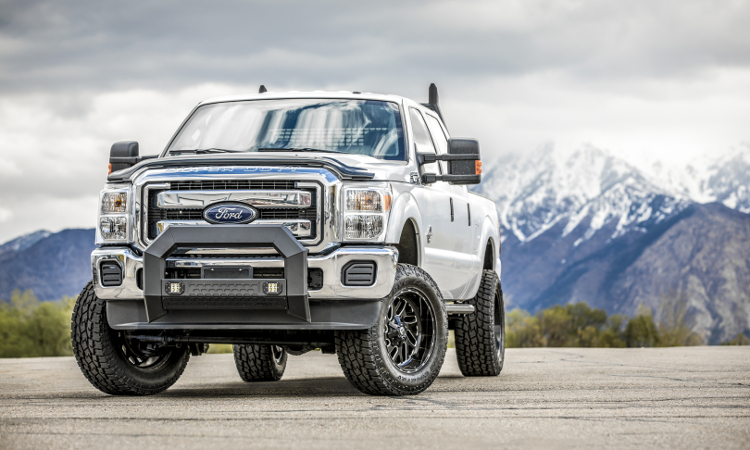 For the front of your extreme build, the ARIES Pro Series™ grille guard is an excellent choice. It features a unique, patented LED light bar housing, built into the center crossbar, allowing you to mount a single-row light bar and show off that head-turning build the way it was meant to be. We also offer the bold Big Horn™ bull bar and matching Big Step™ side bars for a bold look on any pickup truck or SUV.